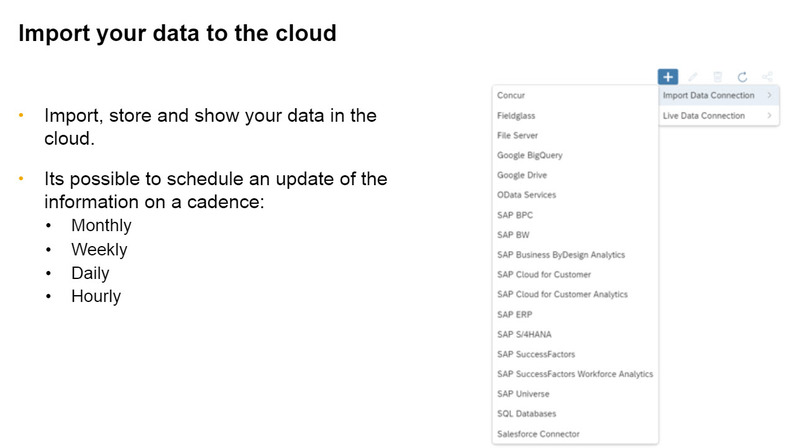 This was an SAP webcast from earlier this week. 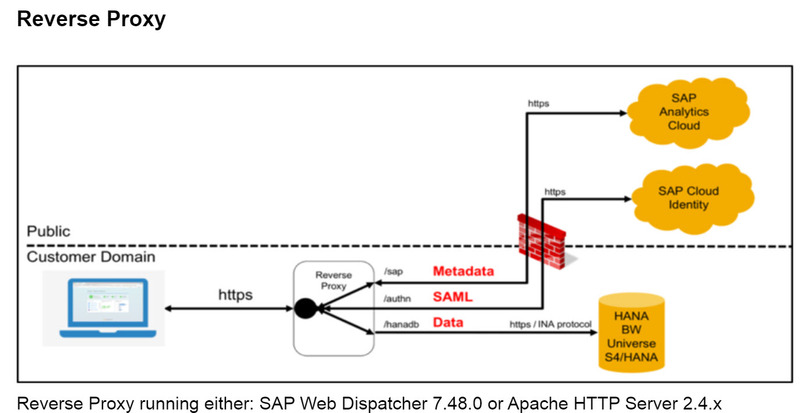 Q:Dear SAP, will it be possible to connect SAP Data Services (former BODS) to SAC? Q: Hi, what are the risks if we don’t install an SSL certificate in the direct connection scenario? 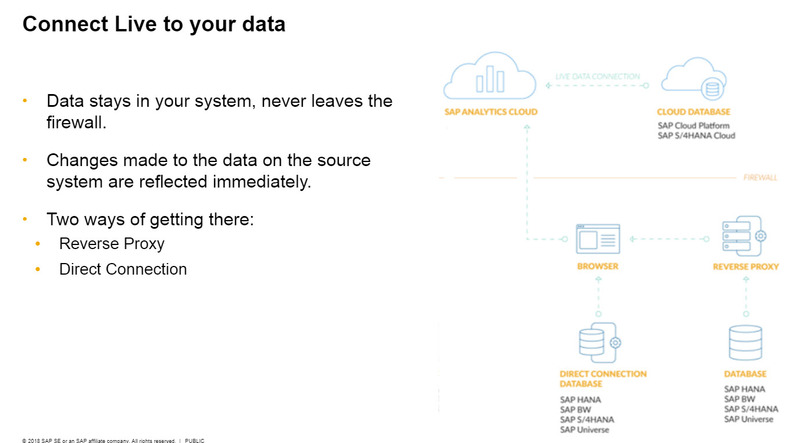 Considering that the exposed data is metadata only. 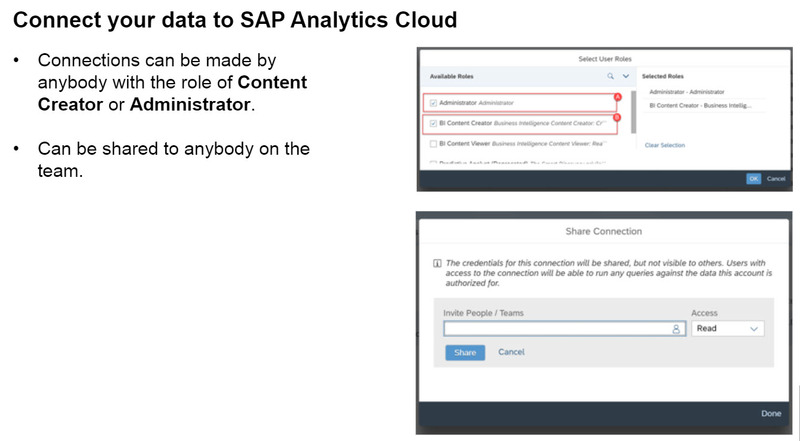 A: SAP Analytics Cloud enforces the requirement for an SSL Certificate for direct connections so it is not optional. 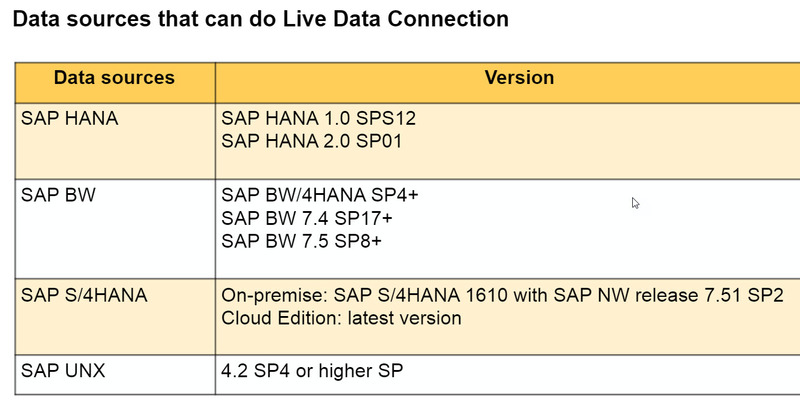 Q: Is connection with some of application like PeopleSoft (oracle) is possible with OData Connection ? 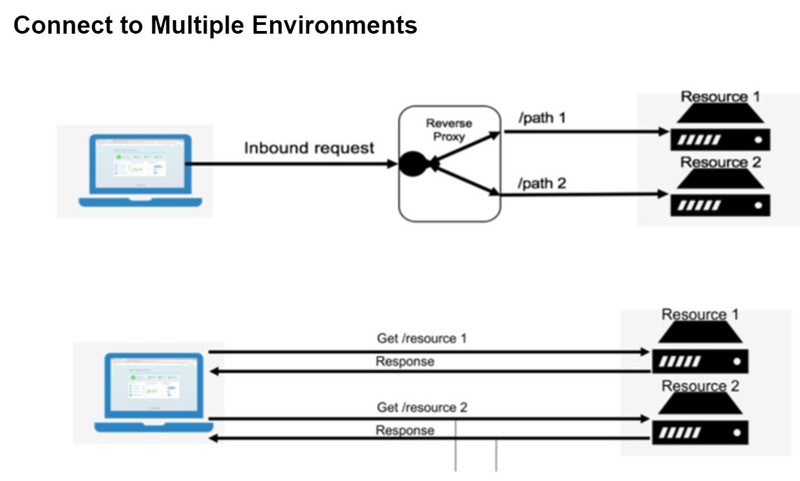 Q: Can we have both reverse proxy and direct connection for a single SAC tenant? 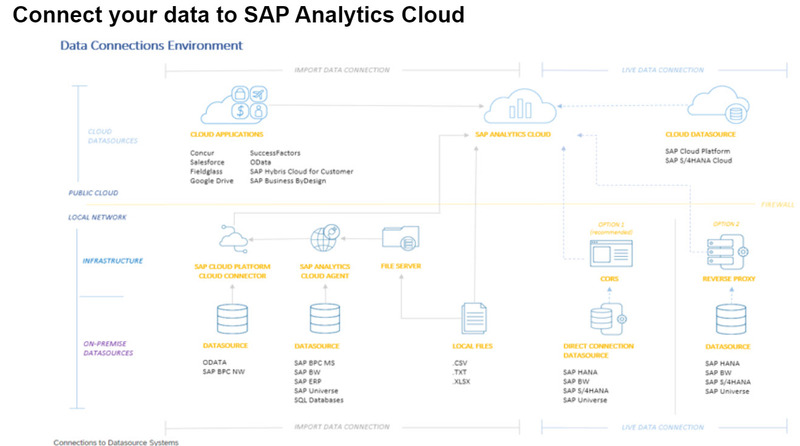 A: yes a Story can include data from both Live and Import connections. Q: Can we connect to social media data sources (i.e. twitter)? Q: I have been using SAC without an SSL certificate with a Direct Connection via CORS for over 6 months now. A: this is possible if the certificate is accepted in the browser. This is not recommended. Q: That point that says no additional server required is incorrect as you need a server to manage the ssl certificates. Q: In a BW live connection there is no way to create hierarchies, how could you do them?